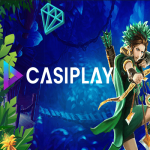 The Casiplay Casino is a new online casino with a great design and available for players from the EU and United Kingdom. The casino is licensed to the Malta Gaming Authority and the UK Gambling Commission. You can play most of the slots, table games and the live casino from your desktop computer, tablet or smart phone. There are well over 1000 slots and games from reputable games providers like Netent, Microgaming, Gamomat or Play’n Go. Not only all slots are available to you without restriction on the go on your smart phone, but also a welcome bonus. You can redeem this immediately after registering with Casiplay Casino and guarantee you a nice start advantage. The Casiplay has not only lucrative bonuses for you, because it also convinces with fair and transparent game conditions. The casino is managed by Aspire Global, which already offers casinos such as the Wild Slots or Next Casino. After your registration at Casiplay Casino, you can redeem a Welcome Bonus. You need a few seconds only to open and verify your casino account. Incidentally, you can also do this from your smart phone, and of course you also have the bonus and free spins available on the go. In total, you can activate up to £800 Bonus and 100 Free Spins as a new player in Casiplay Casino. 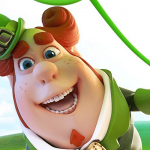 A total of 4 times you can redeem free spins and bonuses with your deposits. The free spins will be played on Netent’s Starburst slot. This slot is one of the best known ever and guarantees the best casino experience. The winnings from the free spins and your bonuses are subject to very fair bonus terms. The selection of games is already very good and leaves hardly a wish unfulfilled. 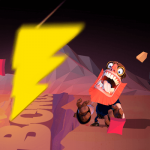 The more than 1000 slots come from Netent, Play’n Go, Microgaming, NYX Gaming, Betsoft, Gamomat, Quickspin, Thunderkick, Aristocrat, Lightning Box Games and ELK Studios. So you can play top titles like Book of Dead, Starburst, Ramses Book, Legacy of Egypt, Bonanza, Coins of Egypt, Alkemors Tower or Jumanji. In addition to this excellent selection of video slots, there are also many table games and a live casino at Casiplay Casino. This is provided by the best provider of the online casino industry, Evolution Gaming. There experienced dealers and a total of 25 live tables with Roulette, Blackjack and Baccarat variants. Of course, you can also visit the live casino on the go with your smart phone. You also play the slots directly in the browser window without downloading an app. At Casiplay Casino every bet is rewarded and you can take advantage of additional benefits in the VIP Club. The higher you get in the level, the more weekly free spins you’ll get, faster payouts, and individual bonuses. Players with a Premium and Prestige Level will receive Express Payouts within minutes, as well as a Personal Account Manager. Casino Luck is one of the oldest online casinos and was opened in 1999. For several years, the casino and its partners Brands Wild Slots and Next Casino has been owned by NeoGames and Aspire Global. All casinos have licenses from the Malta Gaming Authority, UK Gambling Commission and Spel Inspections Sweden. Casino Luck is today a multi gaming platform with numerous popular game developers, a live casino, progressive jackpots and bingo. In addition to this certainly excellent selection of slots and games, the casino also offers numerous bonuses for its players. That ranges from the welcome bonus to prizes and individual bonus offers from the VIP program. The website of Casino Luck is in a responsive dark design and gives you access from all devices. You can traditionally play from your desktop, or use all the services and games with the smart phone or tablet. The welcome bonus is your chance to get to know the casino and games with an advantage. You can double your first deposit and get 50 free spins. Bonus and free spins are activated after a deposit of £20. You can double your deposit up to £50, so you play with a maximum bonus of £50. If you want to play without the bonus, you must first contact the support. On the other hand, you automatically get the bonus and free spins along with your first deposit. We recommend using the bonus and free spins. The bonus terms are fair and you can play the free spins on the well-known Netent Slot Starburst. The bonus amount you have to convert only 35 times and the profits from the Free Spins only 50 times. Thus, you have excellent chances to make a profit immediately with your first visit to Casino Luck. If you would like to play a no deposit bonus, we can make you an offer from partner Brand Next Casino. More information can you find here. There are now well over 1000 games at Casino Luck. These are supplied by reputed gaming providers in the casino industry. The best known are Netent, Microgaming, IGT, Play’n Go, ELK Studios, Gamomat, Big Time Gaming, Lightning Box Games, Betsoft Games, Thunderkick or Aristocrat. A large part of the video slots and the live casino is also available on the go on your tablet or smart phone. Among the countless slot machines are top titles like Book of Dead, Gonzos Quest, Thunderstrike, Ramses Book, Queen of the Castle or the new Berry Burst. Also worth mentioning is the selection of scratch cards. There are a total of 34 games and the best known are Hit the Bank, Wings of Cash, Keno Blast or Cash Farm. In addition to the classic video slots, there are also a number of table games and the live casino. This comes from Evolution Gaming and offers a total of 24 live tables. There are Roulette, Blackjack and Baccarat in different variants. The minimum bets start at £1 and are very moderate. For your payments, you can use numerous providers in Casino Luck. Of course it is possible to pay in and out with credit cards Visa and Master Card, but in general e-wallets such as Neteller, Skrill or EcoPayz are more advantageous. Payments are faster and free of charges. For deposit you are also Euteller, Trustly, Zimpler, EntroPay or Sofort Banking available. Payouts take from 1-3 days on e-wallets and credit cards up to 6 days. 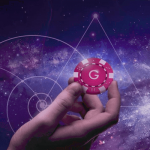 The Genesis Casino is developing more and become a top address for German players. The casino is constantly looking for new partnerships and has just recently presented Oryx Gaming as a new games provider. Thus, the Genesis Casino now offers well over 1400 slots and games. Other games providers include u.a. Netent, Play’nGo, or Quick Spin Thunder Kick. Another big advantage is that you can play as a player in Genesis virtually from any device. This is possible through the responsive design of the casino, which adapts to any device. So you can play from home but also on the go with your smart phone. It should not go unmentioned that the space design of the casino looks galactically good and is not only easy to navigate. For already registered players this is good news, but also newcomers can look forward to something very special. They are greeted with a 300 free spins bonus! So that your start into the game pleasure is also successful, the Genesis Casino offers you a wonderful bonus. From just £10 deposit you can already play 300 free spins on starburst and double your first deposit. Up to £100 bonus you can redeem in this way with just this deposit. Genesis Casino offers you a wide range of fantastic games from the most renowned game developers. Following the partnership with Oryx Gaming, there are now slots from Kalamba, Golden Hero, GiveMe Games, Casino Patience and Gamomat. So now you can play Ramses Book, Pharaos Riches or Book of Moorhuhn. Gamomat also has a jackpot system called Red Hot FirePot. The other games providers are among the most popular in the online casino industry. At Genesis Casino you will find slots from the well-known Swedish game developers. These include Netent, Thunderkick, Quickspin, Yggdrasil and Play’nGo. In addition, a live casino of superlatives awaits you! There are more than 80 live tables provided by the premium providers Netent and Evolution Gaming.